^ London Royal Society. University of St Andrews. [8 December 2009]. ^ Prince of Wales opens Royal Society's refurbished building. The Royal Society. 7 July 2004 [7 December 2009]. ^ The role of President of the Royal Society. The Royal Society. [6 December 2009]. （原始内容存档于2008年6月9日）. ^ The Royal Society- Venki Ramakrishnan. Bluhm, R.K. Remarks on the Royal Society's Finances, 1660–1768. Notes and Records of the Royal Society of London (The Royal Society). 1958, 13 (2): 82. doi:10.1098/rsnr.1958.0012. de Beer, E.S. The Earliest Fellows of the Royal Society. Notes and Records of the Royal Society of London (The Royal Society). 1950, 7 (2): 172. doi:10.1098/rsnr.1950.0014. J.D.G.D. The Arms of the Society. Notes and Records of the Royal Society of London (The Royal Society). 1938, 1 (1): 37. doi:10.1098/rsnr.1938.0007. Fischer, Stephanie. Report: The Royal Society Redevelopment. Notes and Records of the Royal Society of London (The Royal Society). 2005, 59 (1): 65. doi:10.1098/rsnr.2004.0077. Hall, Marie Boas. Public Science in Britain: The Role of the Royal Society. Isis (University of Chicago Press). 1981, 72 (4): 627–629. doi:10.1086/352847. Henderson, L.J. The Royal Society. Science (American Association for the Advancement of Science). 1941, 93 (2402): 27. Bibcode:1941Sci....93...27H. PMID 17772875. doi:10.1126/science.93.2402.27. Hunter, Michael. A 'College' for the Royal Society: The Abortive Plan of 1667–1668. Notes and Records of the Royal Society of London (The Royal Society). 1984, 38 (2): 159. doi:10.1098/rsnr.1984.0011. Lyons, H.G. The Growth of the Fellowship. Notes and Records of the Royal Society of London (The Royal Society). 1938, 1 (1): 40. doi:10.1098/rsnr.1938.0008. Lyons, H.G. Two Hundred Years Ago. 1739. Notes and Records of the Royal Society of London (The Royal Society). April 1939, 2 (1): 34. doi:10.1098/rsnr.1939.0007. Lyons, H.G. One Hundred Years Ago. 1839. Notes and Records of the Royal Society of London (The Royal Society). November 1939, 2 (2): 92. doi:10.1098/rsnr.1939.0016. Lyons, H.G. The Composition of the Fellowship and the Council of the Society. Notes and Records of the Royal Society of London (The Royal Society). 1939, 2 (2): 108. doi:10.1098/rsnr.1939.0017. Lyons, H.G. The Officers of the Society (1662–1860). Notes and Records of the Royal Society of London (The Royal Society). 1940, 3 (1): 116. doi:10.1098/rsnr.1940.0017. Martin, D.C. Former Homes of the Royal Society. Notes and Records of the Royal Society of London (The Royal Society). 1967, 22 (1/2): 12. doi:10.1098/rsnr.1967.0002. Miller, David Philip. The 'Hardwicke Circle': The Whig Supremacy and Its Demise in the 18th-Century Royal Society. Notes and Records of the Royal Society (The Royal Society). 1998, 52 (1): 73. doi:10.1098/rsnr.1998.0036. A.C.S. Notes on the Foundation and History of the Royal Society. Notes and Records of the Royal Society of London (The Royal Society). 1938, 1 (1): 32. doi:10.1098/rsnr.1938.0006. Sorrenson, Richard. Towards a History of the Royal Society in the Eighteenth Century. Notes and Records of the Royal Society of London (free access)使用|format=需要含有|url= (帮助) (The Royal Society). 1996, 50 (1): 29. doi:10.1098/rsnr.1996.0003. Sprat, Thomas. 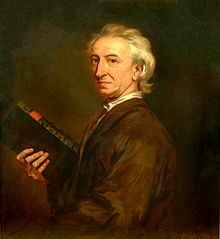 The history of the Royal Society of London: for the improving of natural knowledge. By Tho. Sprat. Samuel Chapman. 1722. OCLC 475095951. Summerson, John. 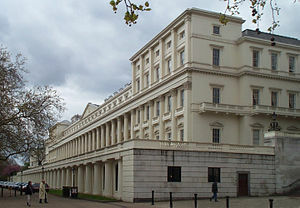 Carlton House Terrace. Notes and Records of the Royal Society of London (The Royal Society). 1967, 22 (1): 20. doi:10.1098/rsnr.1967.0003. Syfret, R.H. The Origins of the Royal Society. Notes and Records of the Royal Society of London (The Royal Society). 1948, 5 (2): 75. doi:10.1098/rsnr.1948.0017. Robinson, H.W. The Administrative Staff of the Royal Society, 1663–1861. Notes and Records of the Royal Society of London (The Royal Society). 1946, 4 (2): 193. doi:10.1098/rsnr.1946.0029.